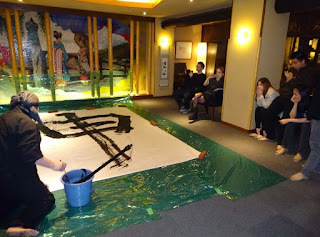 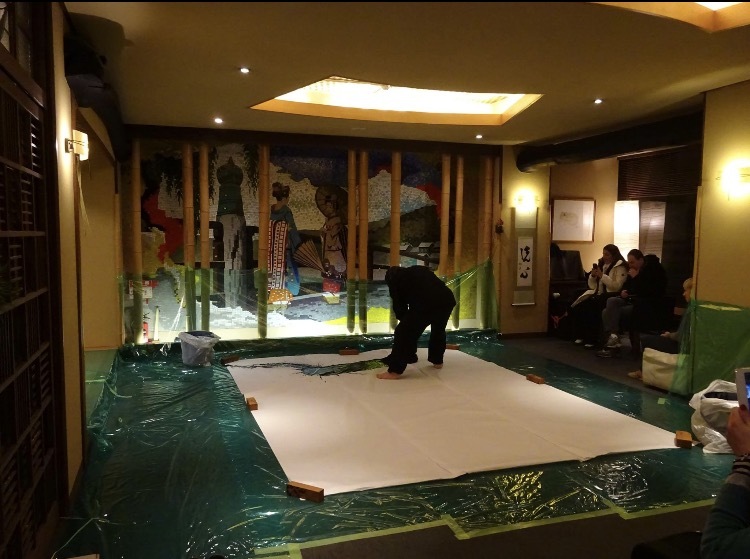 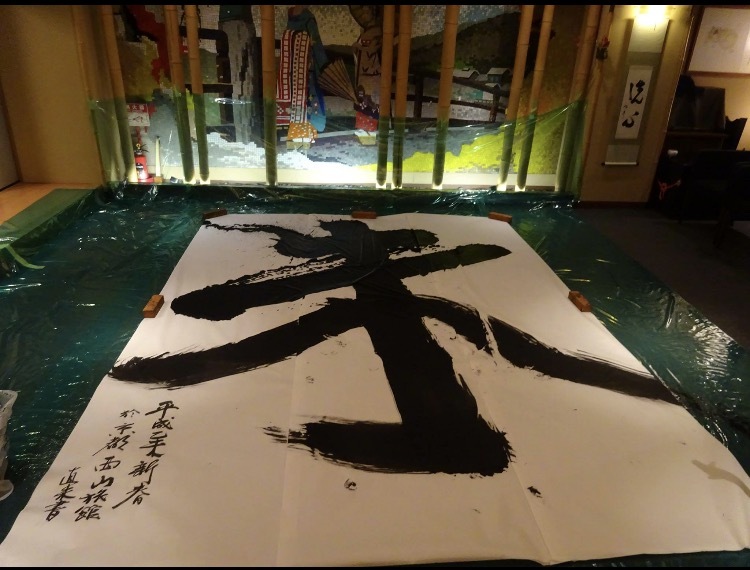 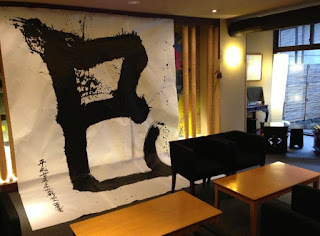 The　calligrapher comes to our ryokan and performance of chirography. You can also try to practice chirography. Let's have fun of the Japanese custom together!